This serum has an enveloping texture which instantly reshapes redefines and protects the facial contours, and smoothes the decolleté. Manioc sugars - Network of sugars that forms a 3D elastic film on the skin surface for an immediate lift effect. Marine oligosaccharides - A genuine molecular trap, stops the two molecules involved in fat-storage processes and then helps to stimulate lipolysis. Bigarade flower extract - Lipolytic properties: helps to unclog fat tissue. Ivy extract - Unclogging and decongestant properties: promotes the elimination of water that has accumulated inside the tissue. 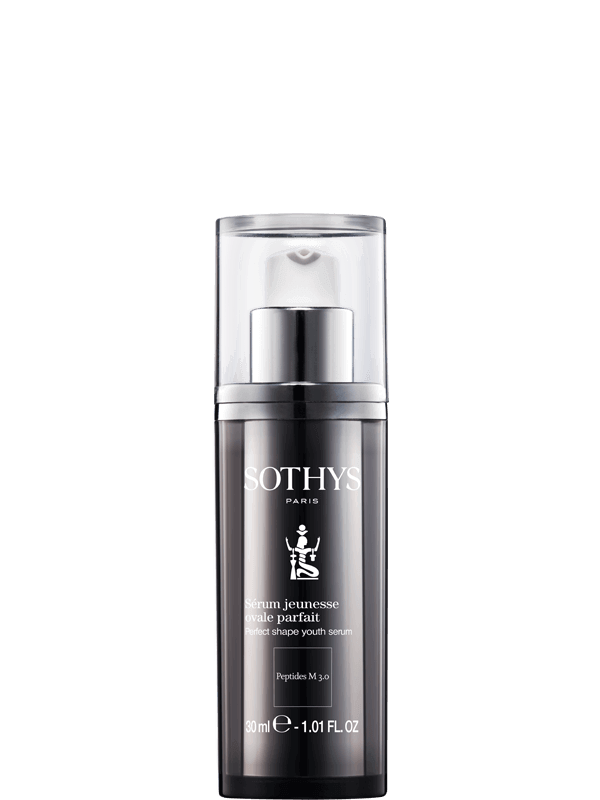 Sothys Perfect Shape Serum supports the neck area and helps re-sculpt and lift the neck contour. Based on M3.0 peptides to boost collagen synthesis and provide a dermo-lifting effect and contouring action on the face and neckline. Apply morning and evening from the cheeks to the décolleté using the Sothys specific smoothing technique for optimised results. Apply to the jawline and neck with Sothys stimulating “Application movements”.